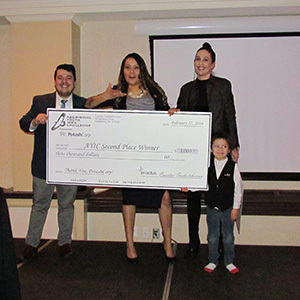 On February 27th, The Aboriginal Youth Idea Challenge presented by PotashCorp concluded with Helen Oro of Helen Oro Designs winning 1st place and receiving $6,500 in start-up capital. 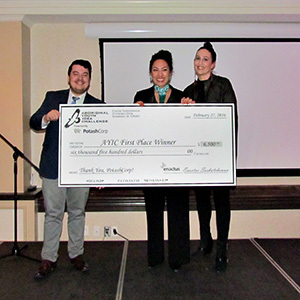 The panel of judges included Rick Stefanowski, Business Development Officer from the Saskatchewan Indian Equity Foundation, Tyler Case, Lecturer from the Edwards School of Business, Stephanie Yong the Director of the Wilson Centre (a hub for innovation & creative thinking), and Lisa Mooney, Senior Aboriginal Relations Specialist from PotashCorp. 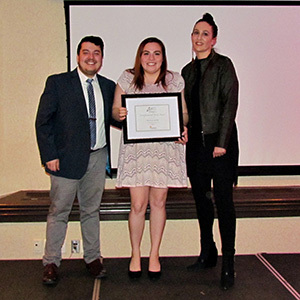 The night included Keynote Speaker, Heather Abbey, Founder and CEO of ShopIndig.ca, a previous winner of the Aboriginal Youth Idea Challenge. Heather shared her story and the challenges she has had to face over the years as a young Aboriginal entrepreneur.